Negotiating prices on your optical dispensary’s showroom floor can quickly turn into making an agreement that doesn’t help your optometric practice. While negotiation tactics often benefit the buyer, there are strategies that the seller can apply to ensure a mutually beneficial agreement. Whether you are defending your no-show fee, your return policy, or the price of your optical dispensing products, learning how to respond to your patient’s negotiation tactics can help you increase profits while preserving the patient-doctor relationship. Here are five negotiation strategies to help you improve your sales. When a patient objects to the price of your optical dispensing products, before you give them the opportunity to start negotiating prices, justify the price you originally arrived at by showing the value of purchasing frames and contacts through your practice. If you have statistics on how many patients have returned to your practice because their online purchases did not meet their vision needs, relay that statistic to the patient to provide some social proof and help build your defense. Making an offer before the patient discloses what they are willing to pay establishes an anchor in the negotiation. The anchor will form a starting point for the negotiation to center around. If done effectively, the outcome of the negotiation should hover around the anchored offer, so pitch the highest proposal first. 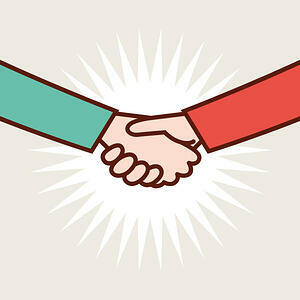 If you miss the opportunity to make the first offer, and the patient communicates a price that they are willing to pay, acknowledge their offer and let them know that you’re not able to agree to that. Then, make your offer and justify the price by explaining the value to the patient. Negotiations have a tendency to get heated. Avoid escalating emotionally-charged negotiations by reminding the patient that you are on their team and that you want to find a mutually-beneficial solution. Showing the patient that you’re on their side helps defuse angry patients and gives you the opportunity to learn more about their needs and why they don’t align with you on the price. From there, you can use the information gathered to reinforce the value as it relates to their needs. Discounts can hurt your practice’s bottom line, so try to find alternatives to discounts that won’t cost you money, but can still be valuable to your patients. An example of this could be adding the patient to a VIP list for an upcoming trunk show. There are going to be times when you and the patient can’t agree on a solution. In these cases, it may be in your best interests to walk away from the sale to avoid the headaches of lower profits and repeated situations. 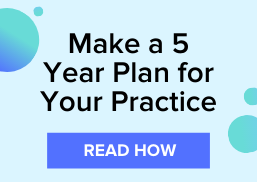 Establish a walk away value that will keep you and your staff from giving in and accepting offers that leave little profit margins for your practice. Subscribe to the VisionWeb blog for more tips like these!